Dog Tags Custom Diecast in Polished Silver from 1.63! Very solid, finely polished and permanently hard enameled with Pantone colors that will not flake out (similar to cloisonné)— a tag that's worthy of special events, premium resale, and better branding. Available with customized header packaging. Ready to ship in 12 to 15 business days. Rush available. These solid custom diecast dog tags from a CNC'd metal molds feature highly detailed logos and design. They have a durable and beautiful nickel plating, and the colors are applied with hard enamel — as opposed to soft enamel which is prone to flaking out. No way that'll happen with these tags! 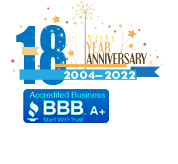 With a premium on quality, weight, color accuracy and finish, they are great as awards, as branded gifts, as retail merchandise for resale, and so on. 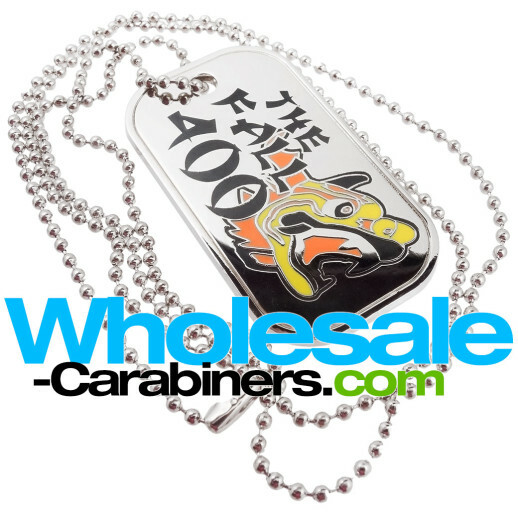 And they are also priced with our great wholesale dog tag pricing! We ship with 30" ball chains, or key rings at a further discounted price. Packaging with custom printed full color backers as shown above are available from .18 per at 5000 units. Please enquire for other quantities.